Does anyone face any diificulties in getting through level 18 or 19 onwards? The adventure mode is very up and down. There have been some difficult levels, but I just made it into Leafy Springs and there are still some easy ones too. DoeWoe wrote: The adventure mode is very up and down. There have been some difficult levels, but I just made it into Leafy Springs and there are still some easy ones too. Which is kinda strange because you think its gonna be constantly difficult but once you get pass the elite and boss levels it get pretty easy. Well then if I were following that I would have to do a level in Evensnow again and I would be waiting to do the 1st level of Leafy Springs. So here is my lineup thus far and 3 stars on everything through the end of Loeffing Blvd. Lose some trolls but big deal, losses behind the hero tend to be scarce if any. Hero is 34 with Demon Blast, Mystical Blast, and Air Bash. Equipment is a mix of Tier 3 and 4. Same tactic with my Succubus but with succubus in the back with shamans on her. Only bummer is some 2 stars due to drawn out battles since succubus clears 3 rows instead of only 2. 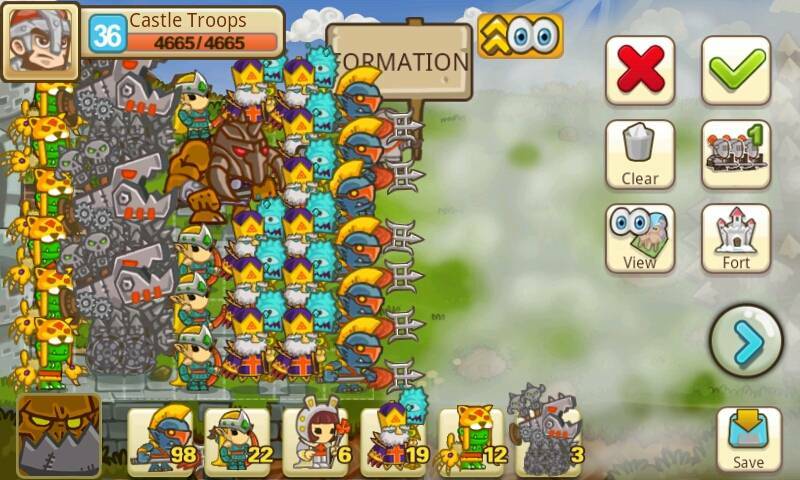 Tactic works great because trolls occupy the enemy while My hero destroys their castle. Welcome to the forums! Interesting tactic. What level is your Succubus? Also, how many trolls do you lose? Succubus is level 34. Tier 3 and 4 equip with 2 top spells. Trolls lost is generally between 18 and 24. Not a big deal really, I'll take a 3 star rating and 10 minutes to recover troops over a nearly total loss any day. Having seen some of the different peoples lineups I am going to start experimenting. Just too bad my cyborg is level 3, so many wasted spar when I likely won't use them much anymore, with the changes to the computer AI cyborg is nearly impossible to keep alive against any magic unit or the suddenly overpowered IW. That's why I never used them in the first place. They are just too weak against magic. Before the changes I could clear 3-4 pages of arena fights without stopping. Only use something other than cyborg when multiple mage or arch is in lineup. Now its hopeless. cool...will give a try on your formation above n see how it goes. in btw does the 2 or 3 stars have any impact to what is fragment the game is giving out at the end of the boss level? DoeWoe wrote: That's why I never used them in the first place. They are just too weak against magic. Do you have a screen cap of it? Or does anyone know if I can still go back to see the formation without having to pay 6 mojo? DoeWoe wrote: Do you have a screen cap of it? 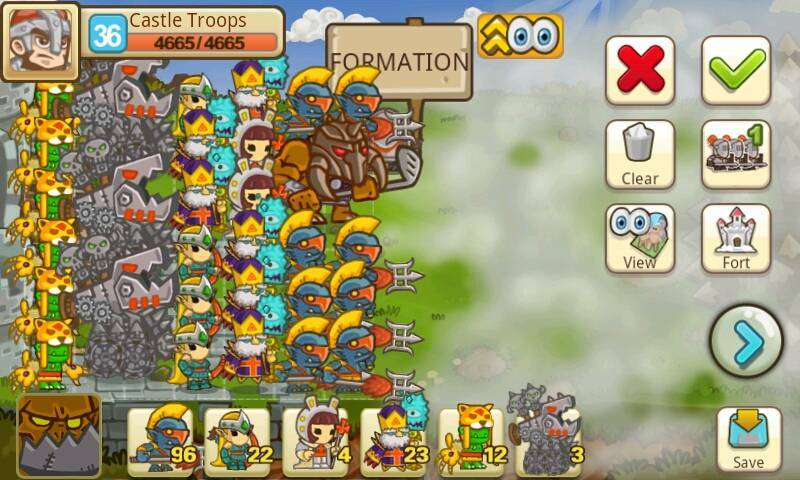 Or does anyone know if I can still go back to see the formation without having to pay 6 mojo? I'd try this one if your Hero is strong enough and survived your last battle. If your Hero dies late in the battle I'd give this one a shot. This one is sort of a desperation move. If you don't think the other two will work throwing in Mages up front will change things. These guys will die so only do it if you need to move forward. You can even put Mages in the front row as well, but I think you should be able to beat it with one of the three. Now stuck on Mission 18! Probably need to recover my losses before I try. Cool. Glad at least one of them worked. When I was doing the main tasks and struggling I always threw in a few extra Mages and was able to win. DoeWoe wrote: Cool. Glad at least one of them worked. When I was doing the main tasks and struggling I always threw in a few extra Mages and was able to win. Lost all trolls and both priests. Sometimes lose up to 2 mages and up to 1 archer. If someone has a better suggestion, I'm all ears! 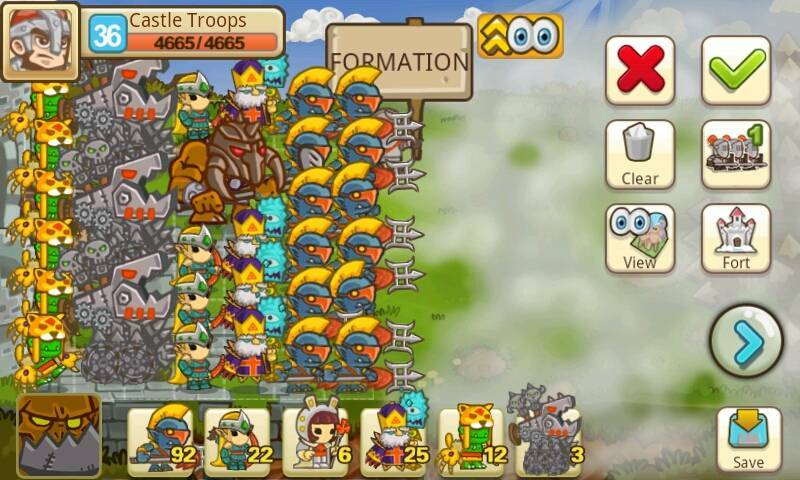 Last time I hit it though, I got hit hard and lost quite a few units (2 stars) but that was only once. I believe all the rest were 3 stars.